Rueda de Casino is a lively group salsa dance with origins in Cuba. Partners form a circle on the dance floor and a variety of dance moves are called out by a caller. The more moves that are called, the more dynamic the dance—with a series of quick partner switches and rapid travelling around the circle–so come out and learn a handful of the moves! Have you seen this guy dance? Smooooooth mooooooves. Join our special guest instructor Gael “Smooth Moves” Couchy as he hosts a session in sultry bachata patterns for your dancing pleasure. Solo dancing segments within a shared social dance are your chance to SHINE! In the spirit of friendly competition, over the course of this hour long workshop Del will teach a shines pattern to the guys and Corie will teach one to the ladies. Then we’ll come together near the end of class to square off in a shines battle! COST: $15 for one workshop! $35 for all three workshops! 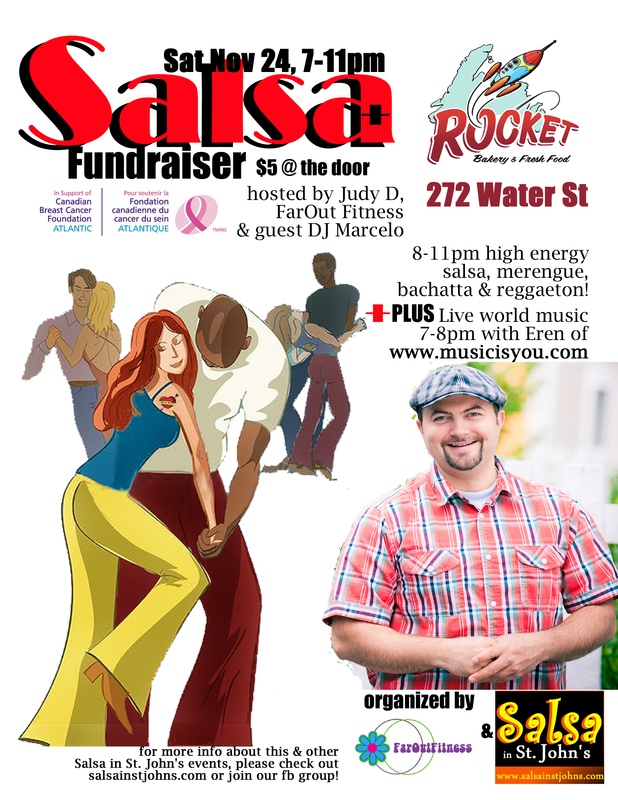 Spend the afternoon getting your Latin dance on at Wild Lily and then head over to the Rocket to dance the evening away! It’s gonna be a full-on Latin Dance kinda Saturday! 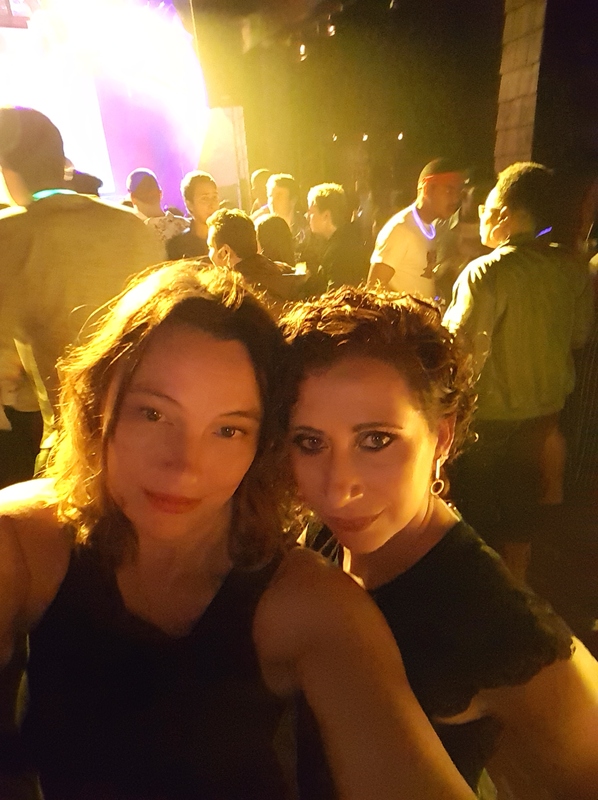 We’ll be dancing downstairs in the Rocket Restaurant’s “Orbit Room” to lots of high-energy classic salsa and merengue, with bachatta and reggaeton in the mix too! 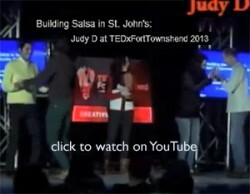 DJ Marcelo will be helping Judy D to keep the music HOT! Cost: It’s a fundraiser in support of the Canadian Breast Cancer Society – Atlantic Region. Minimum door cost $5…but feel free to donate more! It’s an all-ages event, but if you’re over 19 there’s alcoholic drinks available as long as you purchase at least $5 of food with each drink … this is because of the type of restaurant liquor license Rocket has, we don’t want them to get in trouble! Also, if you want to come out early you can catch live music from 7-8pm with Eren Bayaz. Hailing from the warm coast of the Mediterranean, Eren was born with a musical gift not even his parents possess. Refusing to eat his dinner without the accompaniment of a radio, he grew up under the hands of various international music instructors in such genres as jazz, latin, spanish, and classical.